Several members of the SBMI Community have earned honors recently and we want to acknowledge them. SBMI Alumnus and Adjunct Associate Professor Muhammad Walji, Ph.D. was named one of the 105 recipients of the Presidential Early Career Award for Scientists and Engineers. The award, given by President Barack Obama, is the highest honor conferred by the U.S. government to science and engineering professionals in the early stages of their research careers. Walji will travel to Washington, D.C. later this spring to receive his award. For the full story, visit our website. SBMI M.S. student Peggy Mancuso, Ph.D., R.N. wrote an article titled “Empowered Consumers and the Health Care Team: A Dynamic Model of Health Informatics” with SBMI Assistant Professor Sahiti Myneni, Ph.D., M.S.E. that was published in the January/March 2016 edition of Advances in Nursing Science. To learn more about her work, you can read Mancuso’s blog entry on their research. Chen Liang, a doctoral student at SBMI, is one of four recipients of the 2016 Thomas F. Burks Scholarship for Academic Merit. The scholarship is awarded to UTHealth students by the university’s Interfaculty Council. If any SBMI alumni or current students want to announce a recent professional accomplishment in a future Academic Update, please share the details with Chelsea Overstreet via email at Chelsea.E.Overstreet@uth.tmc.edu. 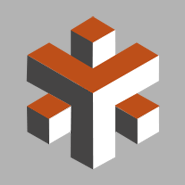 To maintain the quality of the education we provide at the School of Biomedical Informatics, a request to increase the resident tuition rate was made by our university to The University of Texas System Board of Regents. Our school has received notice that the requests were approved and will be effective for fall 2016 and fall 2017. Currently, SBMI students who are Texas residents must pay three tuition rates: legislated, differential and designated. Effective fall 2016, the resident designated tuition rate will increase by $15 going from $131 to $146 per semester credit hour (SCH). Please note that the current $50/SCH legislated and $50/SCH differential rates will remain unchanged. This means that the total tuition rate for resident tuition beginning in fall 2016 will be $246/SCH; it is currently $231/SCH. Effective fall 2017, the Student Services fee will increase from the current price of $532.65 to $543.45 per 12 months. Of the five areas covered within the Student Services fee (recreation, health, shuttle, counseling and student government), only two fees will be increased; the shuttle fee will go from $73.25 to $80.60 per 12 months and the counseling fee will increase from $34.45 to $37.90 per 12 months. Please note that the Student Services fee is only paid by students who have a current address that is within 100 miles of the Houston metropolitan area. As stated, these changes will be effective for all enrolled students for either fall 2016 or fall 2017. If you have inquiries regarding the modifications, please send those questions to SBMIAcademics@uth.tmc.edu. Applications are being accepted now for the spring 2016 Deans' Honors Colloquium in Interprofessional Collaboration. The colloquium includes a series of four sessions that offer basic training in teamwork, collaboration and communication, along with fun group activities with the goal of enhancing students’ ability to function in interprofessional teams as a health care professional. The first session is on Thursday, March 31 in the School of Dentistry Building (Fullerton Classroom, Rm. 4310) from 5 to 7 p.m. March 24 is the deadline to apply and all UTHealth students are encouraged to participate. 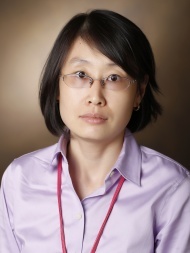 SBMI is pleased to welcome a new addition to the SBMI faculty: Dr. Peilin Jia, Ph.D. She will serve as a tenure track assistant professor working within the Center for Precision Health. She previously spent over five years working at the School of Medicine at Vanderbilt University as both a research assistant professor and a postdoctoral trainee in the university’s Bioinformatics and Systems Medicine Laboratory and the Department of Biomedical Informatics. She earned her bachelor’s degree in bioengineering in 2003 from the Dalian University of Technology’s School of Life Sciences and earned her Ph.D. in bioinformatics at the Shanghai Institutes for Biological Sciences in the Chinese Academy of Sciences in 2008. UT House Medics is looking for volunteers to help repair the homes of elderly Houston area homeowners. All members of the UTHealth community are invited to volunteer and assist. The first work day is April 16 and the second work day is April 23. To sign up and get more information, visit go.uth.edu/house-medics. UTHealth’s Student InterCouncil (SIC) is hosting its seventh annual Crawfish Boil on April 8 from 4:30 to 7 p.m. at the Cooley Center Courtyard (1941 East Road, 77054). The event will include a limited supply of free crawfish, hot dogs, corn and beverages. All current UTHealth students are invited to attend and souvenirs will be given out. Students can also bring one guest and must have both their UTHealth ID and driver’s license when they check-in at the event. The event is first come, first serve so arrive on time. For more information, visit the SIC website. Several SBMI faculty and staff members will be traveling in the coming months to visit universities and attend conventions to promote our degree programs. We invite any prospective students or alumni in the area to visit us during these events. The national REV UP America-Make the DISABILITY VOTE Count campaign launched at TIRR Memorial Hermann recently and SBMI Professor Lex Frieden, M.A. was there to address the crowd. Click here to read more about the campaign. The journal Telemedicine wrote an article that details the research project SBMI faculty members James Langabeer, Ph.D., M.B.A. and Tiffany Champagne, Ph.D., M.B.A. are currently working on. Dean Sittig, Ph.D. SBMI professor, was interviewed for a Reuter’s story discussing EHR use by psychiatric, long-term care and rehabilitation hospitals. Sittig was also quoted in a Houston Chronicle article this month that explores how “copy & paste” can create errors in medical records. A recent HealthLeader feature story on medical misdiagnoses includes a quote from Sittig. Thought Leadership Lunch & Learn at UCT 1414, 11:30 a.m.
SBMI Research Seminar at UCT 1414, 12 p.m.
(1825 Pressler Street Houston, TX 77030), 4 p.m.